Tim warned me not to put put anything on my blog about knitting as I would lose some ‘street cred’ … but I figured that everyone reading this blog knows me anyhow. They know that I have some very geeky (but endearing) qualities. Aunty Betsie, a friend of mine’s mum, once encouraged me to take up knitting again when I was going through a very stressful patch, because it keeps you busy, has a calming effect and de-stresses you beautifully. I still knit to wind down. But Tim draws the line at knitting in public. I once took some knitting with me to the pub. The poor man was mortified. Now I do most of my knitting either in the car on long journeys or at home. I was actually looking for a pattern for a hot-water bottle (much needed in a house that had no heating! 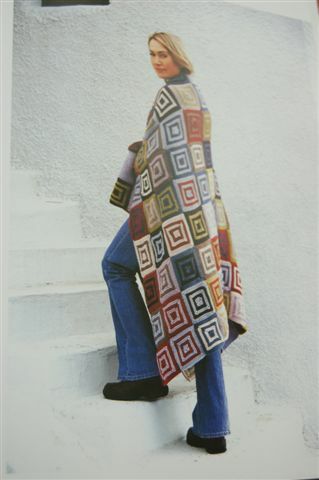 ), when I came across this blanket. It just looked so gorgeous. And the pattern is dead easy. 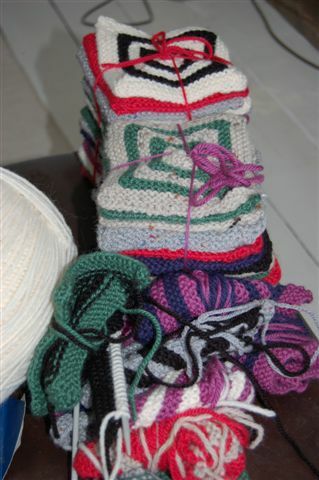 So it doesn’t feel like I am knitting something huge. A little like reading a newspaper rather than War and Peace. You can do it bit-by-bit. 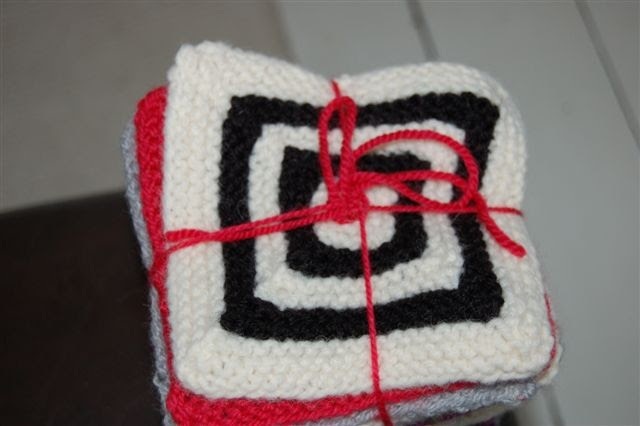 Strangely, sewing the squares, into squares almost takes as long as knitting it in the first place. 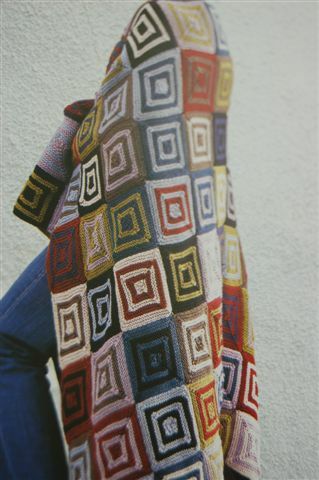 But I am looking forward to sewing all my squares into the blanket … Hopefully in time for next winter. And no-one who made fun of me will get to use it!